Built on 14 islands, Stockholm is an international metropolis characterized by a sparkling cultural life, by beautiful nature and a diversified range of hotels. Staying in the Swedish capital, however, is on average more expensive than in other European cities. Anyway, Stockholm hotels often offer discounted rates and promotions in spring, summer or during the weekend. And more, with the Stockholm Card you can take advantage of discounted or free access to museums, places of attractions and public transportation. The offer of hotels in Stockholm: generally, the offer of hotels in Stockholm assure a good standard, with many new structures equipped with all the latest comforts, from wellness centers to free and easy connections to Internet. In the residential area of Kungsholmen, close to the Västerbron and Tranebergsbron bridges, it is possible to stay in 2 to 5 star hotels, as in the City, the business district of the city and in Sergels Torg Square. Instead, the choice of hotels and pensions is very broad and diverse in Mariatorget Square, in the neighborhood of Södermalm. 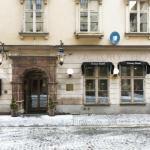 Cheap hotels and other accommodations in Stockholm centre: for an overnight stay in a cheap hotel (obviously with regard to the prices of Stockholm) you can search for a hotel in the area of the Stockholm Central Station. The station is very close to the Kungsholmen district, where there are also many cheap hostels. The Södermalm island is characterized by craft shops and art galleries. It also boasts a wide offer of cheap hotel, while on the island of Galma Stan, the center of the town, there are the finest and expensive hotels, both in Ultra-modern and Old Style. 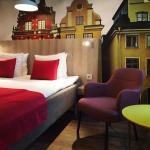 Design hotels in Stockholm: it is possible to stay also in very peculiar hotels, called design or boutique hotels. These are hotels which saw the participation of leading architects in the design or renovation stage, in which the spaces become places of “concept” and the shops are very well kept and refined. 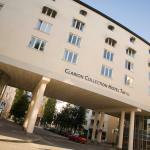 However, the prices of the design hotels are quite high but even these hotels often offer discounts and promotions. 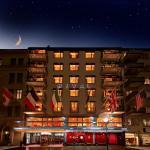 Scandic Anglais welcomes you in the entertainment district of Stockholm, in a very central location. 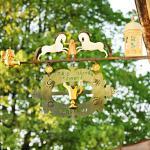 From its restaurant you can enjoy the park, the Humlegården and the shopping street of Sturegatan. 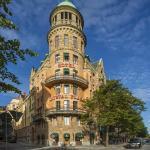 Crystal Plaza Hotel is housed in an exclusive building in Art Nouveau style dating back to the nineteenth century and is centrally located in Stockholm, near Stureplan square known for the elegant shops and clubs. Hotel Rival is located in the bohemian district of Stockholm, Södermalm. 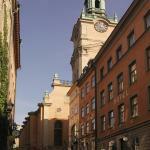 The hotel is located opposite the splendid Piazza Mariatorget. The Central Hotel is located in the vibrant city of Stockholm, just minutes from Kulturhuset, Central Station and allows easy access to all major transport links. At the Freys Hotel you can enjoy the delicious belgian food combined with the tasty international dishes. At the Belgobaren Bar you can choose for a vast selection of belgian beers.